There has been buzz surrounding a Tegra Note tablet floating around for the past month, but with no official word from NVIDIA, it was all up in the air. Recently, a device named Tegra Note hit the FCC, so it was basically only a matter of time until NVIDIA made an official announcement. This morning, the company finally broke its silence and unveiled the Tegra Note tablet platform. But before you get excited and start lining up to buy one, you should be made aware that the device – the Tegra Note itself – will not be for sale through NVIDIA. The tablet is powered by a Tegra 4 processor, features a “groundbreaking” back-facing camera, a full stylus, PureAudio sound, a full lineup of accessories and complete support for TegraZone games. 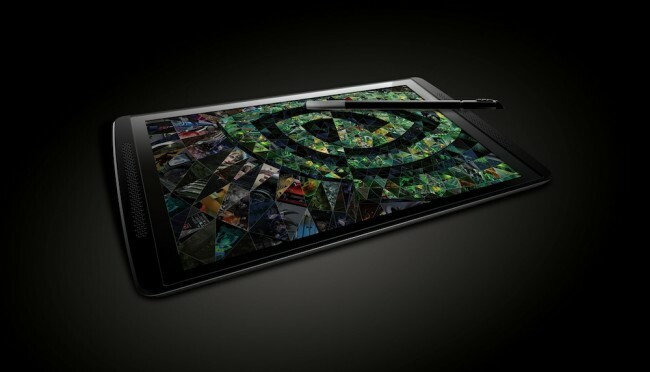 What makes the tablet interesting is that NVIDIA is set to partner with other companies that will throw on their own logos and features, then release it to their customers. This process is called white-labeling, which we have discussed before in regards to NVIDIA and rumors surrounding its entry into the smartphone market. It’s a complete tablet platform, designed by NVIDIA and brought to market by our partners. It embodies the NVIDIA brand – from our hardware and software (right down to OTA updates), to our industrial design, accessories and network of partners in game development. It elevates the abilities of our partners, so they can provide tablets packed with innovation and features at prices they may not have been able to deliver on their own. In turn, NVIDIA gains access to their deep sales and distribution expertise in regions worldwide. The Tegra Note comes with a suggested retail price of $199. That’s good news for anyone looking to pick up a well-powered gaming slate. Once we start seeing devices hitting the streets that are produced using the Tegra Note platform, we will let you know.